Join our mailing list and never miss a promotion, presentation or opportunity again! Pulsed Electromagnetic Field (PEMF) technology has been the target of some 20,000 scientific studies in relation to its safety and profound health benefits. This NASA proven technology is used today by millions of people around the world as a tool for achieving and maintaining optimal health and wellness. PEMF Global Health strives to proactively bring the knowledge and benefits of PEMF to as many people as possible, providing a better understanding of PEMF technology and ultimately a healthier lifestyle to our clients. As experts in this field it is our mission to bridge the gap between the uninitiated and the professional. At PEMF Global Health we guide you towards a healthier lifestyle with a focus on awareness, education and empowerment. Our professional, passionate, team are here to devote our time, effort and compassion, providing you with the guidance and information to help you reap the many benefits of PEMF technology. No question is too small, no issue too big. Contact us today and change your life forever! Reset your circadian rhythm and synchronize organ function increasing energy levels throughout the day. Promoting optimal cellular resonation and activating the body’s natural healing abilities. Preventing the body from acclimating to the field to ensure effectiveness and long term results. Providing your cells with the full spectrum of human cell frequencies, promoting optimal ion transport. 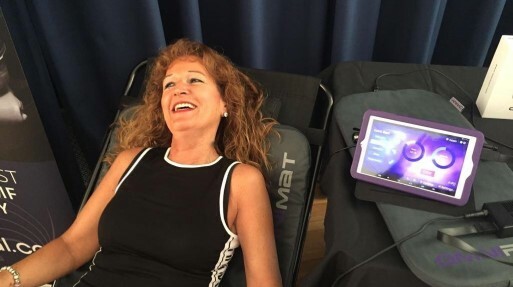 My wife, two kids and I use the iMRS regularly and have found that the pulsed electromagnetic frequencies help to create a calming feeling resulting in a better night sleep and a greater sense of peace. 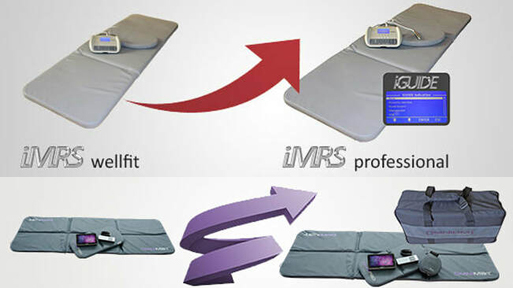 We've also used the pillow and probe to effectively relieve aches and pains in the body. I had terrible fibromyalgia for over 12 years, chronic pain from my feet to my head, spasms, cramps , numbness, migraines, sleep disorder which all results to depression. I have been using iMRS for nearly 8 weeks with amazing results. Morning 10-15 mins at 25 intensity, evening same time but 10 intensity. I have sleept every night apart from one and as I am typing to you now I am pain free. I am thankful to God for iMRS. I am incredibly thankful for the opportunity to have such an amazing gifted mentor, friend and kind individual as Lindsay on this PEMF journey. Lindsay has a plethora of knowledge and real life testimonials of what the Omnium1 has improved and healed in her own personal life. Lindsay has always gone above and beyond to make sure all questions or concerns are solved in the quickest most efficient way possible. I'm thrilled to continue healing one human at a time with Lindsay by my side!! Lindsay and Reid are both very supportive & knowledgeable with PEMF. I personally like that you each have a unique way of helping us understand the concept. Lindsay is an amazing person and is incredibly helpful. Reid also came over and assisted my parents when we purchased a mat for them. They are wonderful people with such integrity.